Spend some time today illustrating after a long hiatus. Picked up a piece of paper without knowing what I wanted and just let my pen wander. Straight ink to paper for a bit today evening in office when I got a breather, and let fantasy capture the paper. 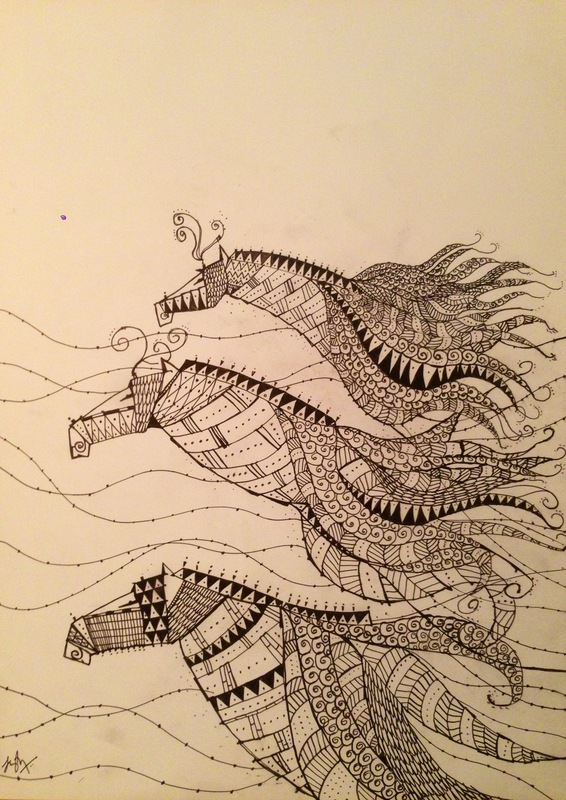 What emerged seemed to be part horse, part dragon, part speed and immense energy and grace. I should do a series of these and frame them together. Would love to work with water colors and silver textures overlaid with these lines to accentuate the fantasy element and see how that turns out. I had an amazing time doing these. Taking the journey with a blank canvas on my mind as well was part meditative really.